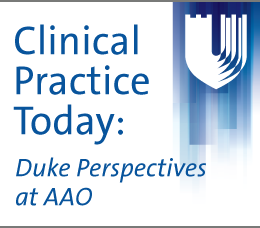 Overview: In this accredited CME webcast, recorded live from the Duke Eye Center exhibit booth at the 2018 American Academy of Ophthalmology (AAO) annual meeting, expert faculty Dilraj S. Grewal, MD, discusses imaging techniques for diagnosing and monitoring response to treatment in patients with uveitis. Uveitis is responsible for approximately 30,000 new cases of blindness annually and accounts for 10% to 15% of all cases of total blindness in the United States. Imaging is important for uveitis workup and for monitoring treatment response. Thus, ophthalmologists need to be aware of different imaging modalities to help with the diagnosis and assessment of treatment response in their patients with uveitis. To receive credit, read the introductory CME material, watch the webcast, and complete the evaluation, attestation, and post-test, answering at least 70% of the post-test questions correctly. For questions or comments about this activity, please contact Med-IQ. Call (toll-free) 866 858 7434 or email info@med-iq.com.